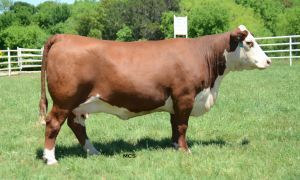 Larson Running L Ranch is dedicated to the advancement and development of the Hereford breed. 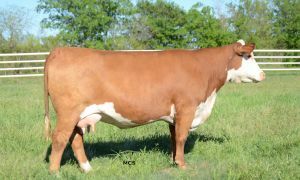 Our breeding program spans over 30 years of pure bred cattle that have been designed to meet and excede the industry standards. 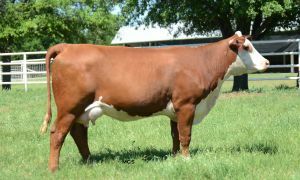 Our program consists of an aggressive flush program in which breed leading females are mated with progressive sires to create the next generation. We use very strict parameters for cattle allowed to enter to ET program. One of the most important traits is mothring ability and longevity. KCL Genetics is our breeder prefix and it has become a standard of excellence and reliability. Anytime you see the KCL prefix in a pedigree you can rest assured that the individual is a product of a planned and disciplined approach. Our annual production sale is every third Saturday of May here at the ranch. The Hereford Alliance Sale is a chance to acquire top KCL genetics. A must attend event. Contact us for more details or to be on our mailing list.